Dumping, throwing, and knocking things over. This is the motto of the toddler. In reality this is a quest of curiosity – a hands-on approach to cause and effect. But for adults, it also means a lot of messes and damage control. 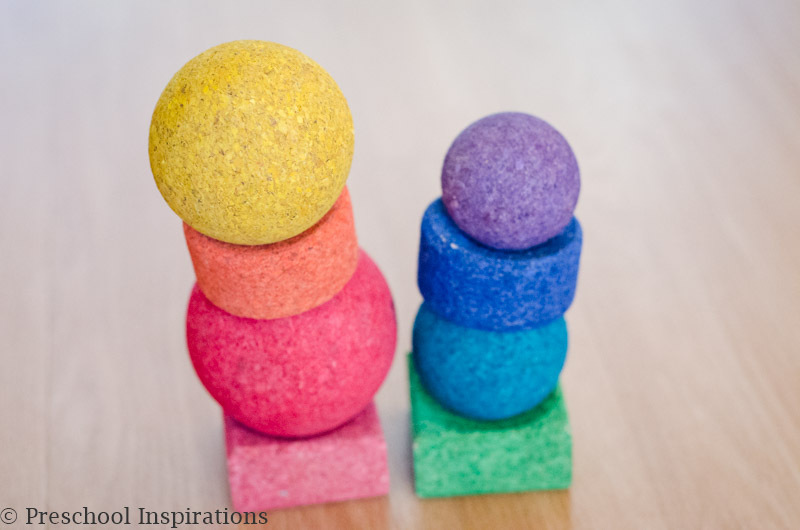 Supporting toddlers through block play can be complicated! My one-year-old picks up a block and usually throws it right away. I am so thrilled to partner with KORXX to show you the most toddler proof blocks on the planet! I’ve been eyeing these soft blocks for ages, so when I had the opportunity to get a set, I was over the moon. At the time I didn’t even realize that they were made of all natural substances that don’t give me a second thought when my toddler wants to taste her block before she propels it. 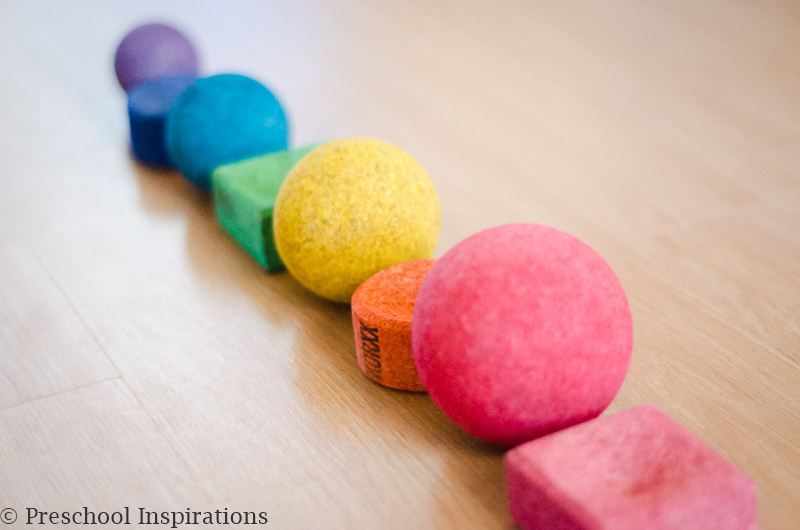 Blocks are one of the first toys a child can engage with. Even babies show interest in them, and there is never an age that they are outgrown. 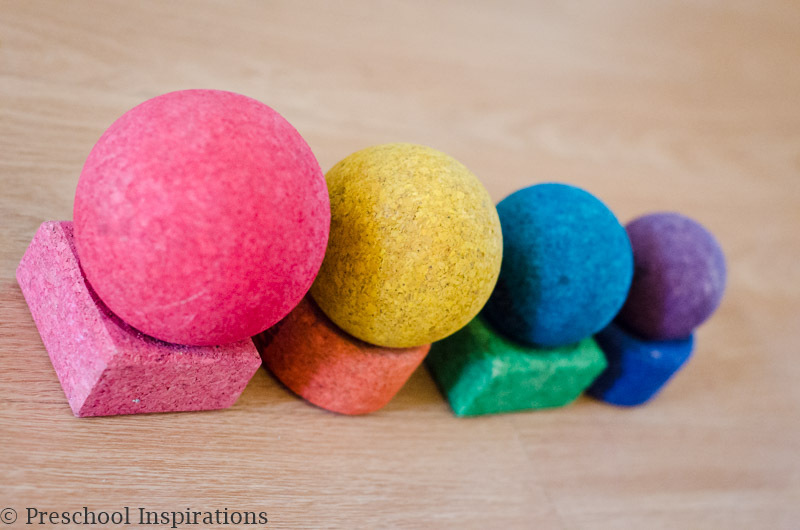 Blocks engage the mind, the body, and they are perfect for open-ended exploration. 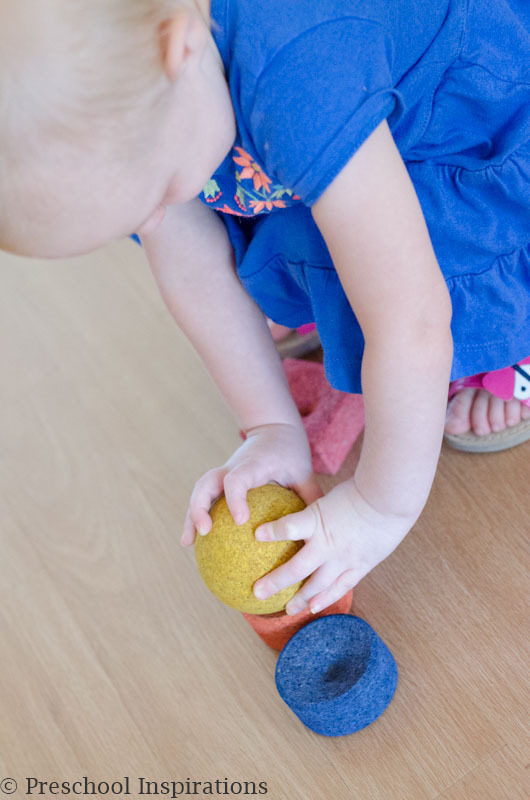 Selecting blocks for toddlers requires some extra consideration, but it is worthwhile to find blocks that allow toddlers to develop these necessary skills. 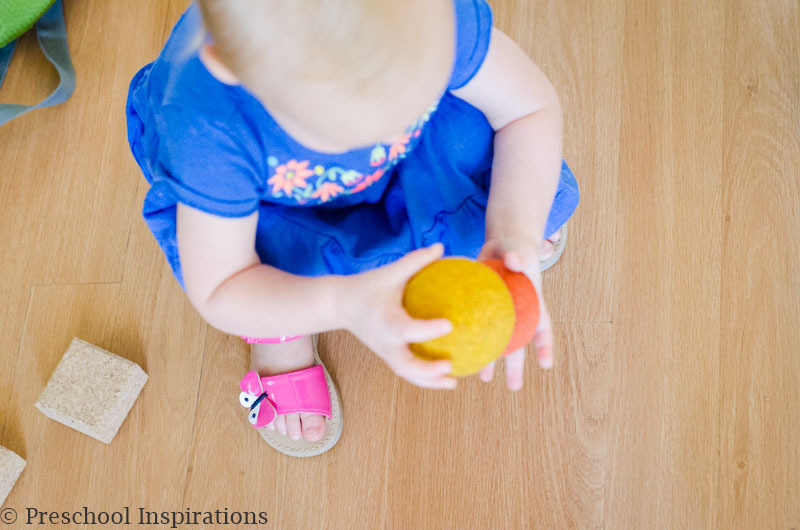 Here are three tips for supporting toddlers through block play. Just think of Goldilocks when picking out blocks for toddlers. Some are too big, too small and finally…just right! We want blocks that little hands are small enough to grasp onto but not too small that they can be choked on. Weight is a factor too! Heavy blocks will get dropped on fingers, toes, and sometimes worse! If a block is too heavy, toddlers may not even be able to pick them up. As you can see above, my one-year-old is able to pick up the KORXX block with ease! They are made of cork which is lightweight and the different shapes and sizes make it so that she can grasp onto them. A toy that is truly durable will live through the test of a toddler. If you have seen the movie “Toy Story,” you will remember the adorable and hilarious tales of Molly — the younger sister who no toys wants to be in the hands of. It’s quite true that toddlers are rough on toys. Before I put a toy into the hands of our toddler I remind myself of these things. This toy will be bitten and drooled on, thrown at other children or down the stairs, sat on, given to the pet dog, and hidden in possibly any area of our surroundings. 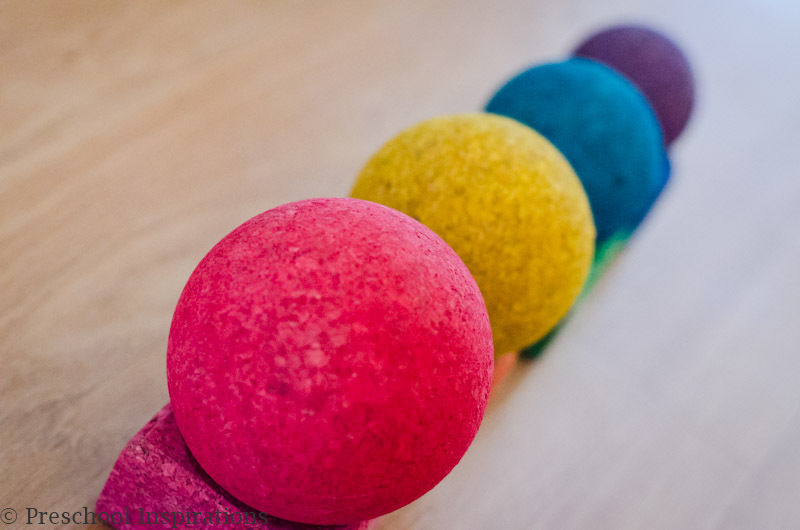 The moment my one-year-old picked up one of the beautiful balls in this KORXX rainbow set, she said “baaaa” and immediately threw it. I had no worries…although I did flinch out of habit. Someone on my Facebook page referred to me as “old school.” And that is definitely me. I love toys that are open-ended, don’t have batteries, require creativity, and increase a child’s attention span. Yes, we have those things which were graciously given to us by friends or family. But my favorite learning activities don’t have 1,465,987 pieces to pick up or instructions to follow. The toys that I choose over and over again are toys that say that made by people who understand how children learn. Children are smart. Children are capable. Children are simple. The less complicated the toy, the more room there is for growth, confidence, exploration, and creation. After playing with these beautiful KORXX blocks, I must admit that we are completely hooked! There are 14 sets available on Amazon, and they are also on our wishlist now too! I love being able to introduce my toddler to a set of blocks and to feel worry-free about them! 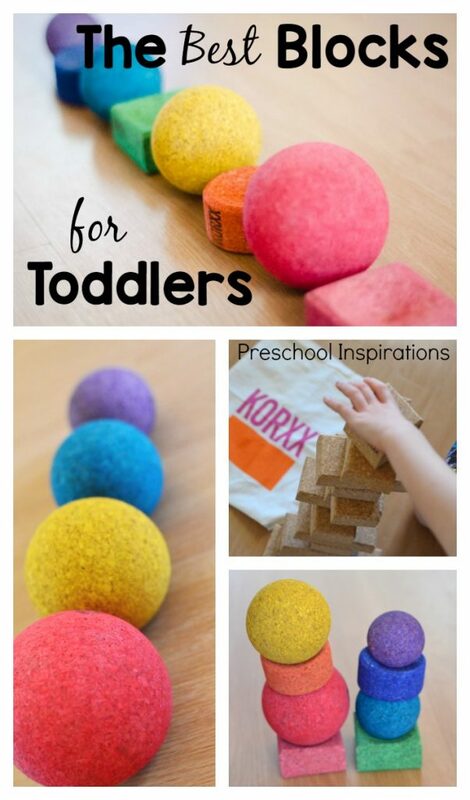 If you ask me, I’d have to say that these are hands-down the best blocks for toddlers! Want to see more sets and ways to use KORXX blocks? Here are some other fantastic ideas.